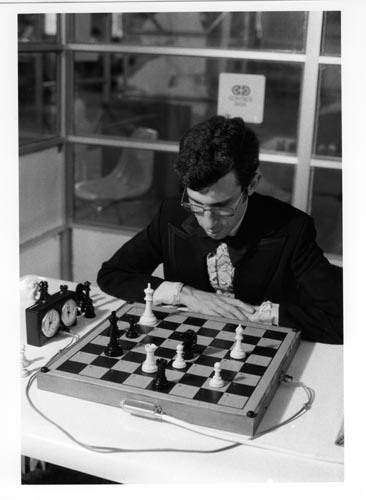 Black and white image of a man at a chess board. The board has wires connected to a chess clock and a computer cable . The setting is a glass enclosed room with the Control Data logo on one one window.